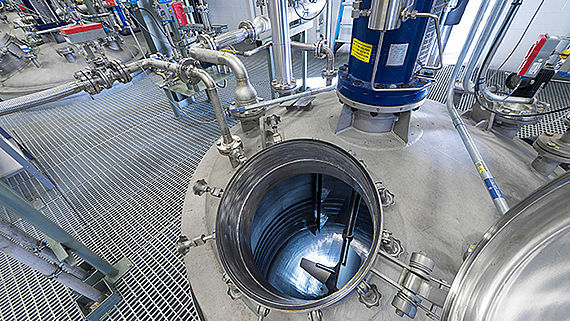 The storage and processing of chemical substances, in particular of environmentally hazardous and flammable substances, requires complex plants of the highest precision. PURPLAN combines state-of-the-art engineering with expert craftsmanship to provide our customers with the best results; from the initial planning steps of a plant to the turnkey-ready transfer of the completed plant and beyond. 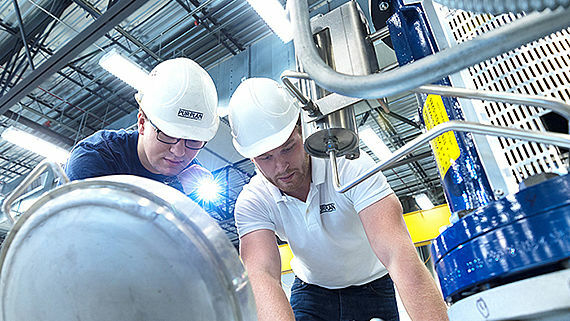 Our 200 employees at locations in USA, Germany and China the are at your service with extensive know-how to ensure that your production runs smoothly. The virtual inspection of your plant with the latest laser scanning technology – reliable and uncomplicated. The construction of bulk tank storage and handling is one of the core competencies of PURPLAN. Our intelligent solutions also have an eye on the networking of the plant to the entire business, as well as on all environmental aspects. 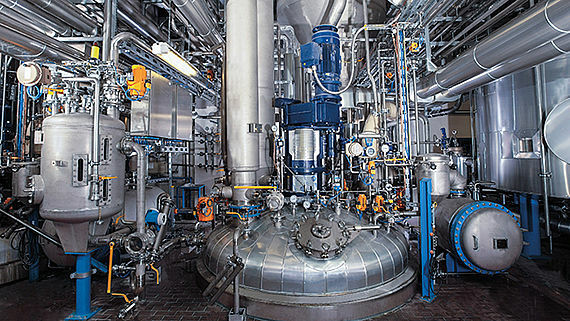 In production processes, such as mixing in the chemical industry, quality often depends on the precision with which various substances are mixed and dosed. PURPLAN supplies fully automated mixing systems with high process reliability and intuitive operator interface. The challenge of modern synthetic resin production is to manufacture low cost and reproducible products. 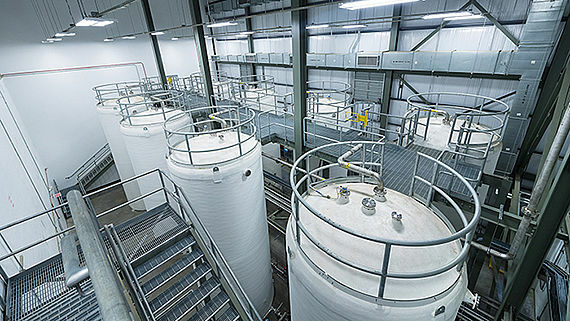 PURPLAN reaction systems assure this, being precisely tailored to customer requirements as well as to the production situation on site. Many manufacturing processes require the use of heating or cooling. We ensure that these are delivered reliably from the outside and planning is already planning the optimal integration of our supply systems into the overall system.